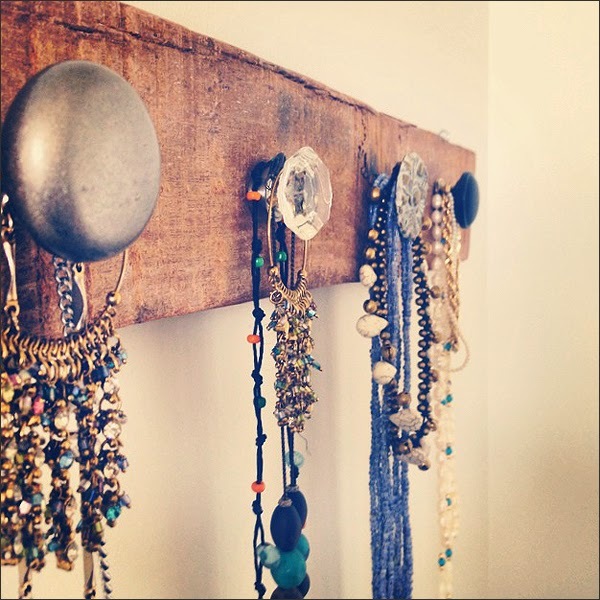 Thrifty By Design: Happy forever homes rock! 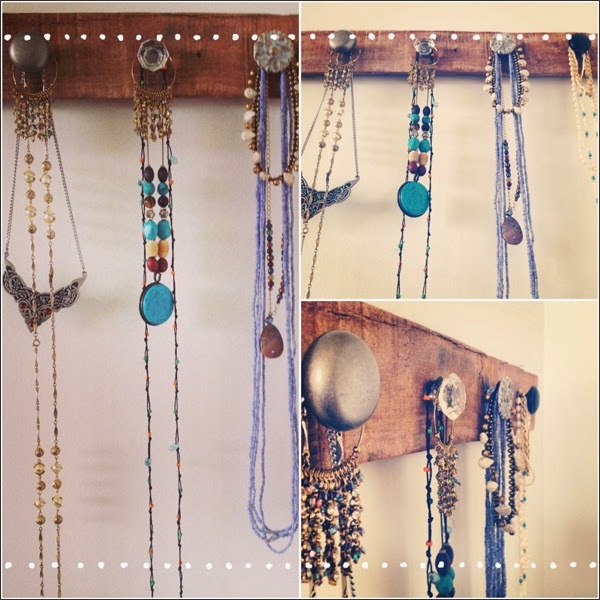 I love it when I get photos of my projects in their forever homes! 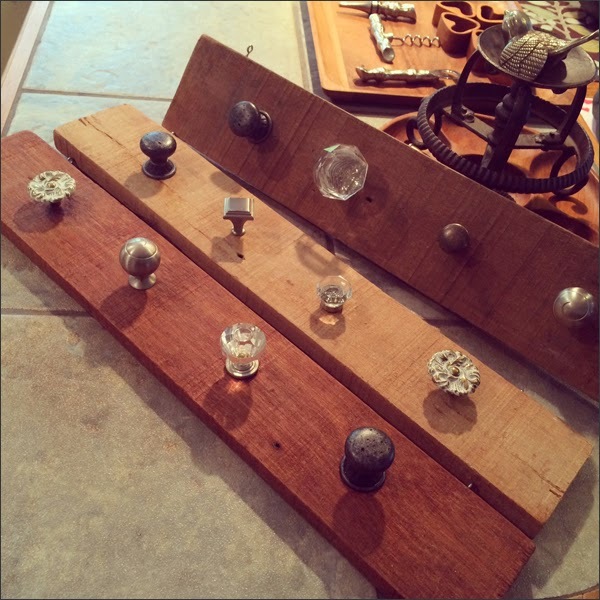 I gifted this salvaged wood organizer to my friend Chelsea. She's an amazing photographer whose expecting her first baby and just moved into a new place with her partner. I gave her one of my organizers as a housewarming gift. 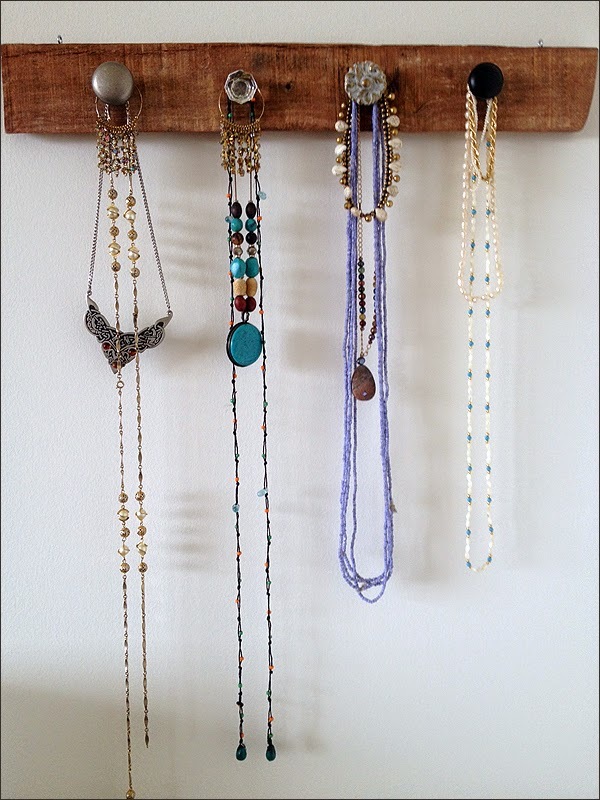 Chelsea was going to hang it by her door for coats, etc but it ended up in her bedroom as a jewelry organizer. It looks awesome! I picked out one of the super rustic looking organizers. I love the imperfections! I should hang one up for myself! 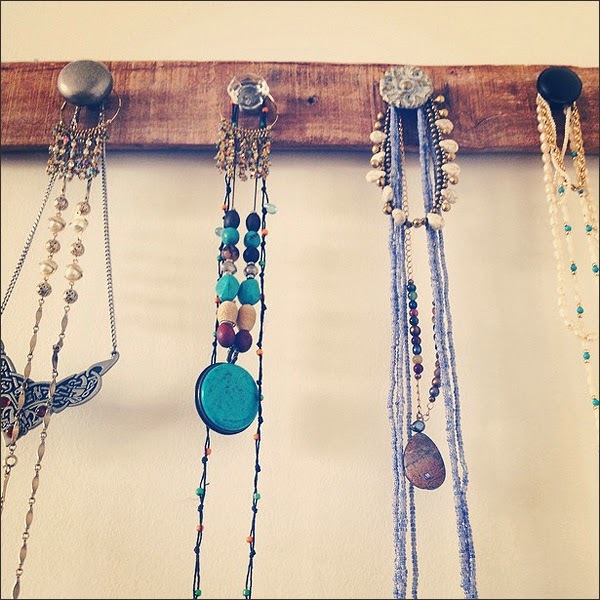 For scarves or jewelry! It looks so darn fabulous. Here's a quick collage using my FAV app, A Beautiful Mess. I still have a few more. I'll keep these on hand for my upcoming workshop at the fourth annual Vancouver Mini Maker Faire happening on June 7th and 8th, 2014 at the PNE Forum. Both of my workshops are taking place on Sunday, June 8th. Check my TBD website for more info! I'm hoping to make more of these in the next while so I can maybe sell them in a store. Time to look into selling my wares again and see what happens! Feeling very grown up! Easter Crafternoon was a blast!